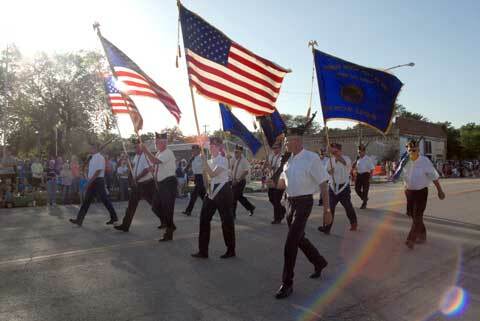 American Legion members from across Osage County formed the color guard in the Melvern Sunflower Days parade Saturday. 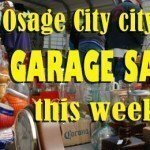 Along with the first day of summer on Saturday, Melvern held the first fair in Osage County this season. 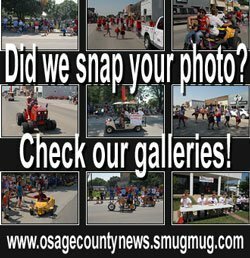 Melvern’s Sunflower Days 4-H Fair got under way last Thursday and concluded Saturday night with a community parade, a dance in the park, and late-night fireworks. Fitting for the parade theme of “Celebrating Sports and Outdoor Recreation”, the 2014 Marais des Cygnes Valley High School state champs basketball team served as grand marshals, and the first-place winning float featured the MdCVHS girls track team, which took third at state this year. Other float winners were the Melvern Jr. Highline 4-H Club, with its motorboat entry showing 4-H members “fishing for success” taking second; the third-place winner was entered by the youth group of the Church of God, and displayed Bible verses pertaining to competition. 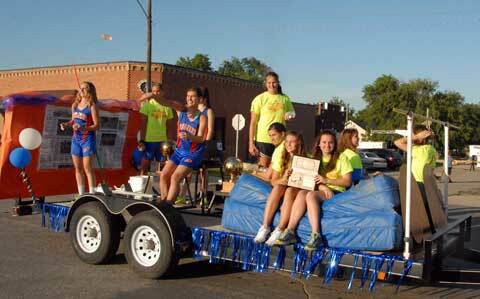 MdCVHS girls track team had the first-place float in the 2014 Sunflower Days parade, Saturday evening. 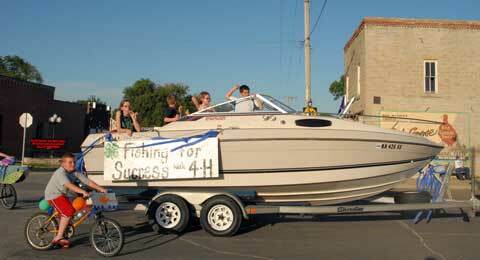 Melvern 4-H Club, while fishing for success, was successful in catching a second place prize for their motorboat float entry. 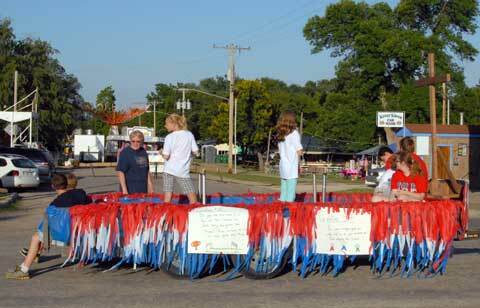 Melvern’s Church of God youth group’s third-place float shared the spiritual meaning of competition. 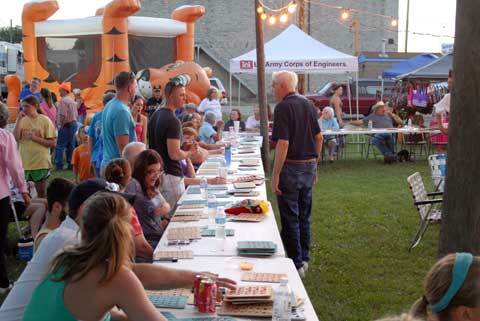 A popular, fun activity at Melvern’s annual fair, bingo games hosted by the American Legion and American Legion Auxiliary each night had players lined up for a seat at the game tables. 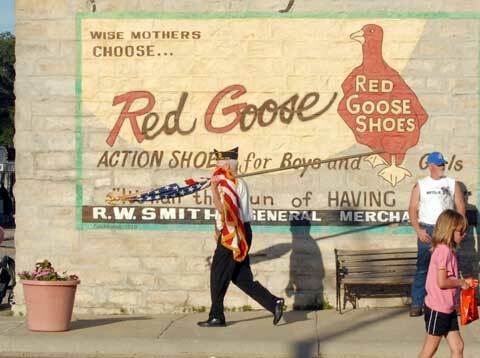 As the parade ends, a lone flag bearer treks back uphill in downtown Melvern toward the beginning of the parade route. 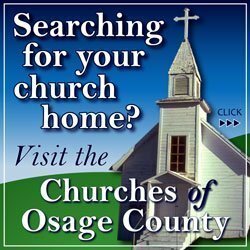 The annual Melvern fair is followed immediately this week by the Osage County Fair, at Osage City, which begins Wednesday, June 25.